Despite reports on dwindling harvest of tuna, which is a native delicacy of General Santos City; residents are still celebrating this festival of bountiful harvest. Apparently, fisher folks are no longer harvesting this fish in nearby waters but they travel as far as water borders of Papua New Guinea just to earn their a living and provide the country with the much needed dollar earnings to sustain the economy. This festivity is celebrated during the last week of August until the first week of September. However, 2014 Tuna Festival will have a longer celebration as it started August 15 and will end on Sept 15, 2014. 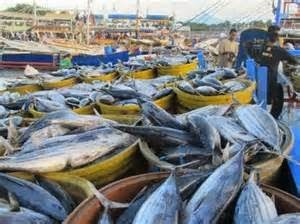 The highlight of the affair is the parade of tuna along the major thoroughfare of General Santos City. During the month long celebration, various activities are also held such as culinary competitions in which tuna is the main ingredient, fun run and marathon, the usual beer fest in the city quadrangle, trade and market exhibit, boxing competition sponsored by Manny Pacquiao, Mutya ng Gensan, little Miss Gensan, and a host of other activities sponsored by major corporations and brands. The biggest highlight of the 2014 Tuna Festival will be an attempt for Guinness Book of World Records on Word’s Largest Fish Display. The history of this event is quite unique compared with other festivals in the Philippines. According to several verbal documentations, the festival was a spontaneous idea and not a planned concept. During the celebration of 30th City Charter Anniversary, the GSCTA or General Santos City Tourism Association, a social organization which is composed of restaurants, resorts, travel agencies, hotels, and other tourism or travel related establishments or institutions staged for the first time a culinary competition focusing on the tuna. 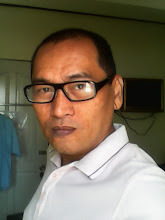 From thereon, more events were included as years went by like “Parada sa Dagat”, “Bancarera,” and “Pamahaw sa City Hall” (Breakfast in City Hall) which is a thanksgiving mass and celebration. Tuna Festival is a celebration regardless if the year is bountiful in harvest or not. It is all about continuing a tradition and promoting the legacy this fish has given to the city. It is about thanksgiving on the wealth that tuna has given not only for the city but to the entire commerce and trade of the country. It is also about recognizing the Filipino spirit that nothing can break him even in times of dwindling harvest.